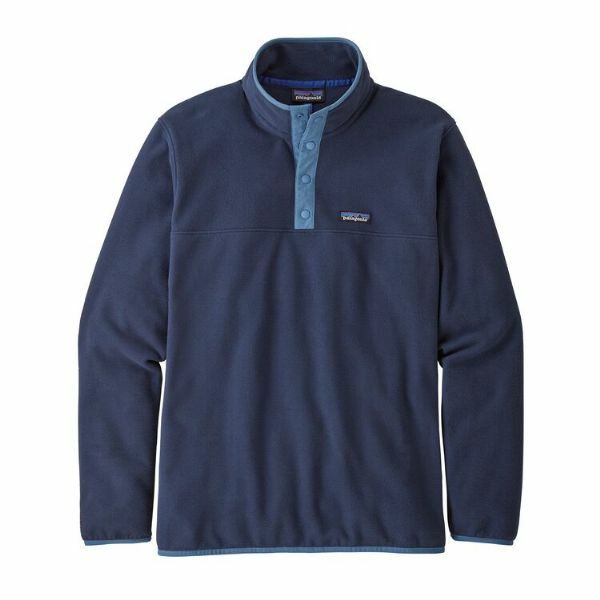 Patagonia say: We made the ultra-soft, ultra-soothing Micro D™ Snap-T® Pullover for all-day comfort, but truth is, wearing one just puts us in a good mood. Our Micro D™ feels unbelievably soft and light, provides steadfast warmth, dries quickly and doubles as a pillow on long overnighters. The 100% recycled polyester microfleece plays the part of an insulated midlayer when paired with a shell or works as a comfortable stand-alone in moderate conditions. The pullover design features a nylon-reinforced front placket with four snaps to make venting adjustments a snap, a stand-up collar, Y-Joint sleeves that allow the full range of shoulder mobility and spandex trim at the cuffs and hem for a smooth finish on exposed skin. It’s also Fair Trade Certified™ sewn, which means the people who made it earned a premium for their labor. Hip length.